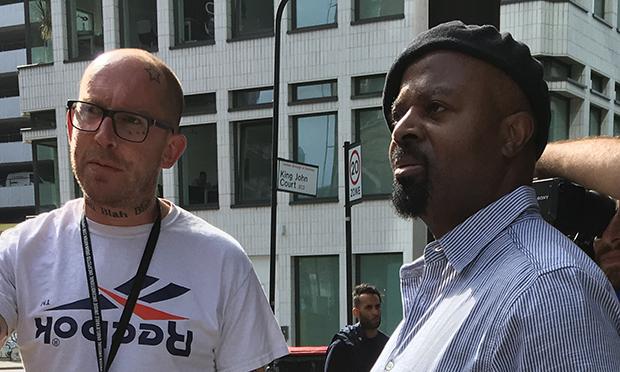 It is of course impossible to call it a ‘highlight’, but one of the most devastatingly insightful moments of the hundreds of hours of post-Grenfell fire coverage must surely have been Nigerian poet and North Kensington resident Ben Okri’s reading of his poem Grenfell Tower, June 2017 on Channel 4 News. Now, the piece that Krishnan Guru-Murthy called a “stark and passionate cry from the heart” delivers its sobering message amongst the towers and flash of Shoreditch. 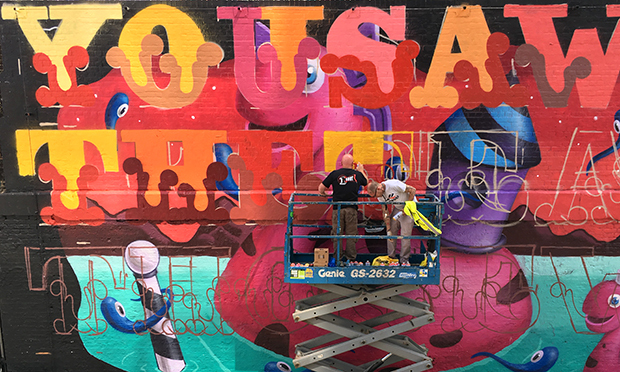 Street artist and longtime Hackney resident Ben Eine is today putting the finishing touches to a mural featuring Okri’s powerful polemic, painted onto music venue Village Underground’s 120 square metres of wall. “It’s a human thing, a really big cry. In this age in which we find ourselves, nobody has to be so poor that being alive is a risk, because of being poor. That’s just not acceptable anymore, anywhere in the world. Maziar Bahari, an Iranian-Canadian journalist and filmmaker whose Paint the Change organisation brought together the two Bens, shares in the still-raw emotion that runs through this whole project: “I couldn’t stop crying when I saw that had Ben Okri said it all in his beautiful poem. As well as its Channel 4 airing, Grenfell Tower, June 2017 was also published in full in the Financial Times. 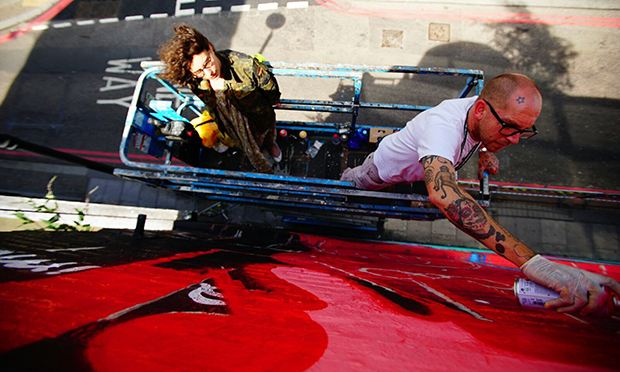 Eine’s mural will be viewable at Village Underground – 54 Holywell Lane, EC2A 3PQ – from today.